Al Plastino: Last Superman Standing! 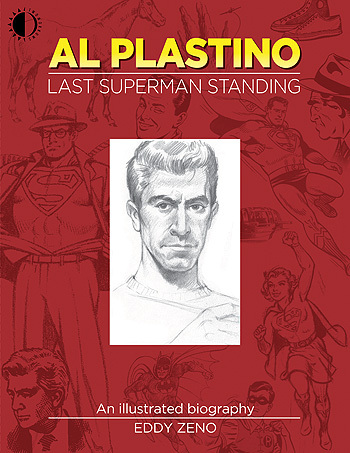 We’re proud to announce the April release of Eddy Zeno’s wonderful biography of legendary Superman artist Al Plastino! He co-created Supergirl, Brainiac, and the Legion of Super-Heroes, drawing those characters’ first appearances, and illustrated the initial comics story to feature Kryptonite. And Kirby fans know him as the guy charged with the job of redrawing Jack’s Superman heads in Jimmy Olsen (something he wasn’t too happy about). With his long career in comics, this book is way overdue. Check out the free preview and preorder at THIS LINK! This entry was posted in TNT on 10 December 2015 by Mr. Morrow.